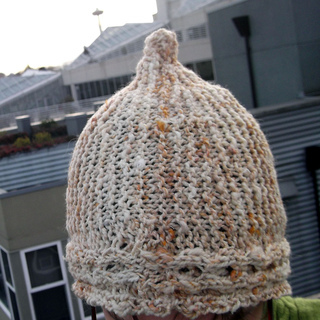 Delightful cables wrap around the brim of this garter stitch hat. Eir is a Norse goddess associated with medical skills. Some scholars think she was a Valkyrie- someone who chose who would die in battle and bring them to Valhalla. PDF preview of Eir available here. 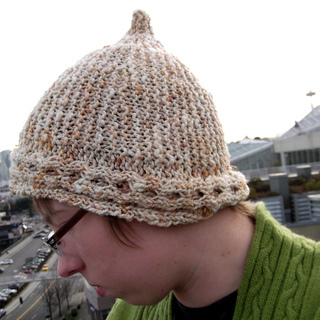 4 stitches and 7 rows per inch in garter stitch. 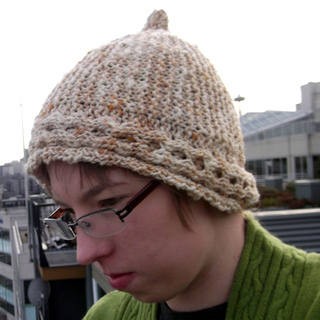 Also available as part of Short Row Hats: 6 Knitting Patterns for Sideways Knit Hats.